Launch KToolbar-x.x.exe with administrator rights and install KOLOBOK Toolbar via installation wizard. 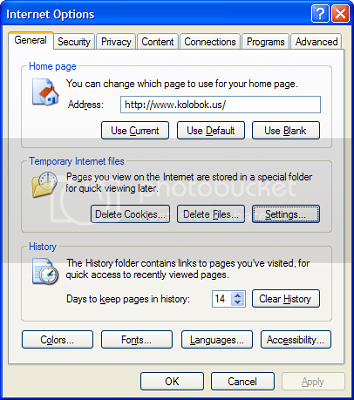 After installation launch Internet Explorer and check "KOLOBOK Toolbar" in menu "View -> Toolbars"
To open window with smiles select a gallery in toolbar. You can select a part of gallery and 'insert as' option. Double-click on smile insert it's link to LAST text area on page (defined by 'textarea' tag). Right button click show a popup menu, that allow add smile to "Favourites" gallery and copy smile link to clipboard. Запустите KToolbar-x.x.exe с правами администратора и установите KOLOBOK Toolbar с помощью мастера установки. Далее запустите Internet Explorer и отметьте строку "KOLOBOK Toolbar" в меню "Вид -> Панели инструментов"
Для открытия окна со смайлами выберите галерею на панели. Двойной клик по смайлу вставляет его ссылку в ПОСЛЕДНЮЮ текстовую область на странице (определенную по тэгу 'textarea'). Клик правой кнопкой мыши показывает всплывающее меню, которое позволяет добавить смайл в галерею "Любимые" и копировать ссылку на смайл в буфер обмена. Thank you ,I love the tool bar! Hi Hyron. I have to run IE on my laptop since Firefox is eating all my memory. However, after the install there are no galleries that show up. The toolbar is there, I can chose a gallery, but once the other window pops-up there's nothing under "select part". Help? В IE (шестой), при нажатии на кнопку колобков, вылезает такая штука. И IE виснет. вапщет как только ты эти дополнения сделал, я его поставила (у меня firefox), в нем все идеально работало и работает, а тут решила посмотреть-поставить как на других. панель инструментов koloboks все еще подошла без smilies. Первая ТО ЕСТЬ koloboks панель инструментов работала так хорошо. koloboks toolbar still comes up with no smilies. The first IE koloboks toolbar worked so well. Разработка плагинов для Firefox - это езда по ухабам - если где и ошибся, то выходит просто сообщение об ошибке и работай себе дальше. 3. Какой язык - русский/английский/... установлен в Windows? Do you import gallery file C:\Program Files\KOLOBOK Toolbar\gals.xml ? Yes I did, just like I did the first one. The tool bar is there but no smilies in it. Недоглядел чуть-чуть .Исправление на этой неделе сделаю. for files like www.kolobok.us/modules or just modules - they must be not empty. You can also attach screenshot with window without smilies. I did clean out all of the cache, I also went in and cleaned anything out that had Koloks on it just to see if it would work to get them to show in the toolbar.. Only two in favorites showed.. I was wondering if It is because I have internet Exployer 6 and not 7? The first koloboks.. I think it was 1.0 worked great and the other one did not work as well.. Now this newer one shows no smilies,Could it be the version of Internet exployer I have? 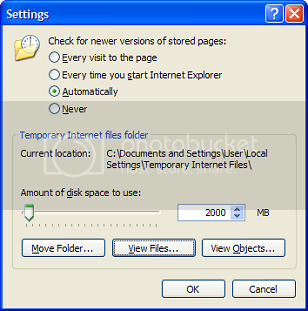 I have looked everywhere to see if I had the first kolobok toolbar for Internet Exployer on disk some where.. I was going to put it in again. I must have lost it..
for files like www.kolobok.us/modules or just modules - they must be not empty . It sounds to me like you aren't seeing them because you emptied your cache. Try going back to the portal and open each page of all the galleries - that will load the images back into your cache. I hope this is right - since I've never used Hyron's toolbar, I can only assume this is what he means. I did all that and still it has no smilies.. just the two in favorites..
Tools (?) -> Browser options... (?) -> tab General(? ), group "Temporary Internet Files" -> button "Options..." -> button "File browsing..." (?). and I think the cause is some IE settings, because I use IE 6 too. Most people probably know how to access their browser cache. You can also get there from your desktop by right-clicking the Internet Explorer icon, then click Properties and follow the menus above. Thanks Hyron, I have ccleaner, and cleancache, Have had the both for two years, I use to clean computer by going to tools and delete file,delete cookies.. I know they can clean too much so I use them carefully.. The first IE tool bar was so great! It had a yellow toolbar icon,and not the blue.. I have looked in my disk where I recorded my folders and programs, and have not found it yet. It worked wonderful.. Then I down loaded a new one and it did not do as The first did for me.. It showed them but not like the first one. My kolobok tool bar shows and looks good, even has which type of link to use, but no smilies except on the two in favorites. one is the clapping girl by JC and one is connies ssleeping girl with bear. I don't even know how they got there.. I wish more was there. Thanks Hyron, for all your help.. Thank you JC, I use that method also,when I don't want cookies to get deleted and want to save some of my history for more I want to do on pages . Thank you Hyron! It is working! Thanks so much! Я совсем не спец и слэнга тоже иногда не понимаю Скачал я для IE экзэшник, установил, колобок появился в панели , но не пашет . Кнопка "скачать" ничего не делает, когда жму на импорт, то ему хочется только XML-файлы,другие он не видит(я перед этим просто скачал какую-то галерею,думал её что ли импортировать,но не получается). Может это из за палёного Винда? И инт-нет эксплорер фигово пашет? В Опере всё нормально работает. Что делать?? И есчё , галереи,которые здесь скачиваются - они для чего? Ими пользоваться как? Еси мона? Да, вот исчё - у меня антивирь при проверке обнаружил в реестре колобков и квалифицировал их как адварэ. Может ли фаервол как-то влиять на колобки? Повторю, с Оперой всё работает.